Perpetual Adoration Chapel /St. Maria Goretti Highschool. Communion to the Sick/Homebound: Please contact the Parish Office if you or someone you know is unable to attend Mass and wishes to receive the Eucharist at home or at a health care institution. The prayer network offers support to parishioners and the community through the power of prayer. Members in this group volunteer to commit several minutes each day praying for special requests. 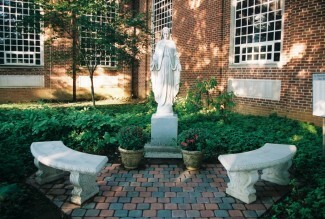 If you have a prayer request, please contact Barb in the Parish Office at 301-733-0410 ext. 4 or bmills@stannchurch.com. You can also volunteer to be part of the Prayer Network and give your time praying for those in need.